Intro: In place of ai, the Japanese restaurant, MGF Mall has a new entrant. 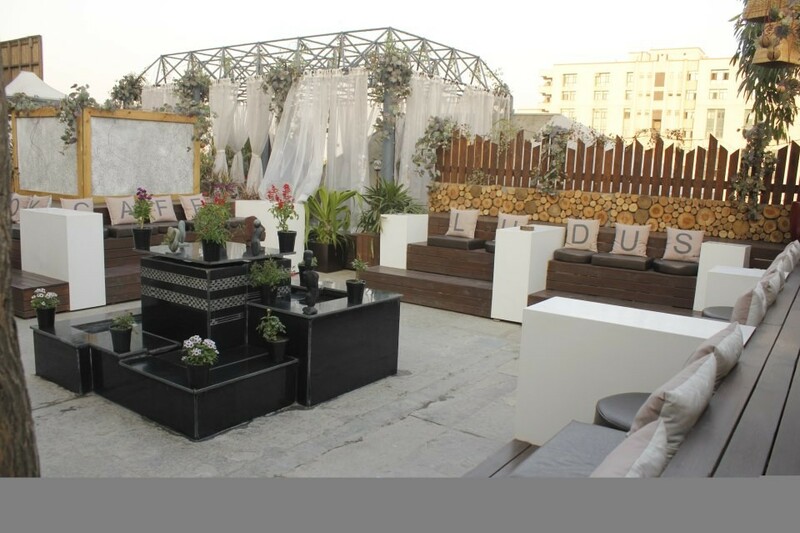 With spacious interiors (do check out the funky toilets) and a sprawling terrace, it is a treat to visit. Atmospherics: The term Ludus is supposed to be Greek for school, and indeed the elements of a school (blackboard, steps arranged around a courtyard etc) are scattered subtly around the restaurant and its terrace. Evenings are cosy inside the rather dimly lit restaurant, but during the day, in fine weather, few spaces beat the terrace. Cafe Ludus is one of the growing number of places to serve all-day breakfasts. Table Talk: Zuppa Verde (Rs 195) is a first-rate broccoli soup with bits of fried garlic for a subtle flavour. What impresses is the artful presentation and the fact that the all-important balance has been achieved between the broccoli and the garlic. Beer fish fingers served with tartar sauce (Rs 375) were excellently prepared: the crumb coating was thick and crunchy and though I could not discern the flavour of beer, I would gladly order it again on my next visit. The same was with the lamb kibbeh (Rs 360) which had the trademark flavour of cinnamon, as well as a filling of pine nuts. The good part about Cafe Ludus is that even if you are not a fan of Mediterranean food with a preponderance of Greek dishes, you can always get your fix of maharaja omelette, fiery chicken wings and pita bread served with chilli chicken. If you do opt for a traditional Mediterranean dish, it won’t come with a Punjabi tadka though! About the greatest dish on the menu is the burger. I chose maximus (Rs 425) tenderloin with melted cheese and was amazed at the quality of the patty made with local tenderloin. Again, just enough seasoning had been used: no unnecessary dried herbs here! There are three chicken options, one lamb burger and a vegetarian one as well. Cafe Ludus has two interesting, user-friendly options. One is the ‘Meet me half way’ for one person who can order half a soup and half a sandwich or a salad. The other is the ‘Plates for Mates’ that are platters around a theme: burgers, hot mezze or chicken-based snacks.